The "Calendar Girl" Scopitone by Neil Sedaka - no, they don't make them like this anymore. It is not on this list, but it is a classic hoot and worth tracking down. These are my own choices for the category: "Music videos worth watching." Not necessarily "the best" or "most popular" - simply worth watching. No particular order, though I suppose the ones nearer the top are considered the most brilliant by the most people, I don't care about that anyway. Blogs are wonderful things: no need to please anybody in particular or worry about whether someone agrees with you or not, so just put down what pleases you and let it roll, baby. If you haven't watched them - you should. Anyway, on with the show, this isn't about me. I'll just intrude a few scribbles between them below if you're wondering "what was he on when he picked this one?" This was shot by Bob Dylan back in 1965 when music videos were “promotional film clips.” There had been music videos before this, and there certainly were afterward - but this one just sent the whole concept into the stratosphere. The song is “Subterranean Homesick Blues,” and while the song is forgotten by all but fans, the video - shot in a back alleyway behind the Savoy Hotel in London for the cost of the placards, camera, film, and marker - is pretty legendary. Allen Ginsberg and Bob Neuwirth, you may have heard of them, can be seen chatting in the background and then rapidly departing at the end. Dylan even gets a little artfully clever with the cards at times, which is the final Stamp of Brilliance. “Praise You” was a song by Fatboy Slim that you will probably never hear on the radio unless you really hunt down a channel that features songs like it. It was filmed by Spike Jonze for only $800 (most of which went toward a replacement boombox and food for the cast and crew). Jonze's concept: take a bunch of amateur dancers who are high-spirited to a California movie theatre and just start entertaining. That's the whole point of a movie theater - right? Well, not in the opinion of the guy running the theater, who comes out and shuts everything down - and pretty plainly is about to call the cops. It features the completely fictional Torrance Community Dance Group as they perform bunny hops and other stuff that expresses what they feel - and again, isn't that the whole point? One of the most subversive videos ever made, and won a slew of awards. Oh no, black and white! The Andrews Sisters were just another girl group in the '30s - that kind of thing goes in and out of style with great regularity and will return someday, I assure you - who actually were sisters. The group composed of LaVerne Sophia, Maxine Angelyn "Maxene", and mezzo-soprano Patricia Marie "Patty" was nothing special in the entertainment world, but then they were cast in a Hollywood film, "Argentine Nights," which was part of a late-'30s Latin America craze (think "Flying Down to Rio"). They just so happened to perform with the Ritz Brothers, who taught them a few sleek dance moves to replace the generic stepping they had been doing. All this experienced worked like watering a parched plant, and in Abbott and Costello's "Buck Privates" a couple of years later, the sisters made history, above, with "Boogie Woogie Bugle Boy." Filmed on 02 Jan 1941, well before Pearl Harbor, The Andrews Sisters recorded "Boogie Woogie Bugle Boy" at Decca's Hollywood studios as part of the production of the Abbott & Costello film "Buck Privates." The jump blues song was a major hit for The Andrews Sisters and endures to this day among the most iconic WWII tunes. It is ranked #6 on the Recording Industry Association of America "Songs of the Century" list. It truly is one of the great songs of the 20th Century, and this is one of the great performances of any song. Christina Aguilera did a colorful homage to this a few years ago that was good - but not as good. 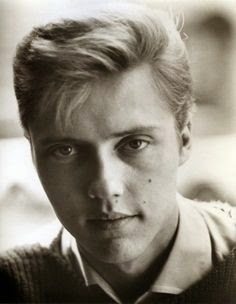 Christopher Walken is pretty famous. He was just a poor dancer from Queens, son of immigrant parents. Well, he may still be a dancer straight out of Queens, but he's not poor no longer! Walken went back to his dancing roots for this video by Spike Jonze, which is probably what enticed him in the first place. Or maybe he always fantasized about flying above sailboats? Everybody knows all about Peter Gabriel, how he left Genesis and had huge success in the mid-'80s and all that. Or - you should know that. Anyway, Gabriel just blasted it out with "Sledgehammer," a stop-motion animation project with the good people from Aardman Animation before they, well, were the colossus they are today. Note the chicken featured prominently, an Aardman trademark. No World War II film songs in this one, though. The music video for "Foolish Game" was directed by Herb Ritts and features Helena Christensen. It is one of the most enigmatic music videos you'll ever see - Helena seems into the whole thing at first, but then gradually seems to have second thoughts, while Chris obviously only has one thought on his mind the whole time. No offense, Helena, you're gorgeous and we all love you, but the most iconic thing about the video is the shot of Isaak drifting above the clouds, serene and careless, realizing he's as close to heaven as a man can get on this world and it just can't last. "Land of Confusion" was a terrific song by Phil Collins/Genesis or however he was attributing his stuff then, but it hardly was their best one; we'll go with "Another Day in Paradise" for that honor, though likely nobody else will. We'll also put aside the snarky politics involved, though the depiction of Gorbachev and Khaddafy as men who are "losing control by the hour" was pretty darn cool and prescient. However, it isn't the song by itself that matters in a music video, it is the blend of sound and images (for further proof, see "Praise You," above), and there "Land of Confusion" just flies right off the charts - like Superman. The song's video featured puppets from the 1980s UK sketch show Spitting Image, and that, my friends, is sheer brilliance. Where else are you going to see Mr. Spock, Paul McCartney and Henry Kissinger all in the same video? Nobody has to talk up "Weird Al" Yankovic, he's a legend still churning out top material. He has so many classic videos to choose from that, in fact, it's almost pointless to choose. However, "Amish Paradise" is just so much fun and gets in so many shots in multiple directions that it has to be included here. Who else could figure out a way to parody the Amish? Yankovic also drops the bomb on "Gangsta's Paradise" by Coolio featuring L.V., which was one of those '90s songs from an "important" film that people could only talk about in hushed tones because it (sort of) touched on ... race and alienation. Ooooh nooooo! Along with everything else, Weird Al demonstrates with his wonderful lack of subtlety that there are just so many chords in music and that any pretentious songster better zip it up before someone points out that there's just a hair's breadth of difference between his masterwork and the theme to "Gilligan's Island." Look, Duran Duran is a known quality, and we're not talking about The Immortal Bard here. However, "Ordinary World" is one of the most fantastic songs of the last decade of the 20th Century - yes, it is that good. At least to humble old me it is, anyway. It is supremely difficult to pull off difficult emotions like resignation and regret, sadness with a hopeful tinge, in a music video designed for mass appeal - and I defy you to show me any others that get anywhere near this one at doing that (see below). It just doesn't happen that often. And the best part is that the Duran Duran boys enhance the whole feeling of the song, themselves portraying an edge of sadness in their own appearance that may reflect what they had come to understand after their '80s fame withered away (until "Ordinary World" came out of nowhere) - that everything is fleeting, not just fame or fortune or life or love. Well, what do you know - I found one. Speaking of John Lennon, one of his favorite bands was the B-52s. Everybody loves their 'Love Shack' - which is a primo Grade A tune - but my favorite is 'Roam.' Brilliant song, and brilliant video. I'm not sure why I like 'Back on the Chain Gang' so much - but I do. It comes from that period when music videos had actual visual metaphors and tried to say something - but with subtlety. That's how you make a great music video. Well, and get a take-no-prisoners chick like Chrissie Hynde to sing in it, of course. 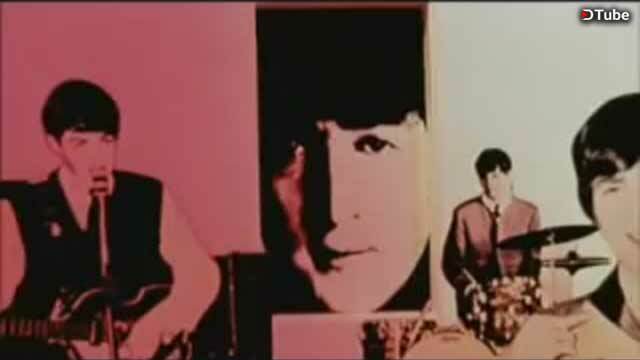 And you can't have a list of must-see music videos without Eleanor Rigby. That just won't do. And, since we're going down that road, might as well throw in Paul McCartney & Wings with the original version of 'Band on the Run' - which was an obvious extension of the 'Eleanor Rigby' sequence from 'Yellow Submarine.' My candidate for the best music video of all time. Your mileage may vary. Unfortunately, it is blocked in most countries, so can't show it here. Apologies. Thanks, and please remember to tip your waitress. Okay, you didn't think I was going to ignore Neil, did you? The kitsch factor blows out the stops on this one.